One of the big lies President Trump and Republicans in Congress used to sell their 2017 tax cuts, which will cost nearly $2 trillion, is that it would greatly benefit “small-businesses.” Their pitch was that “job creators” like corner grocers, neighborhood plumbers and start-up web designers would get a huge tax break knowing full well that most of the tax breaks would line the pockets of the richest 1%. Shocking, I know. Well, the data is rolling in and it shows that two-thirds (66%) of the ”small business” tax break is accruing to those with household income above $315,000 for joint filers. The finding is in a new analysis (p. 31) by the non-partisan Joint Committee on Taxation (JCT), which looked at who is benefiting from the tax break for “pass through” entities. They include everything from sole proprietorships, partnerships, S corporations and LLCs to billion-dollar real estate developers and high-priced law firms. President Trump’s billion-dollar business empire is a perfect example of the kind of business that really benefits from this new tax break. 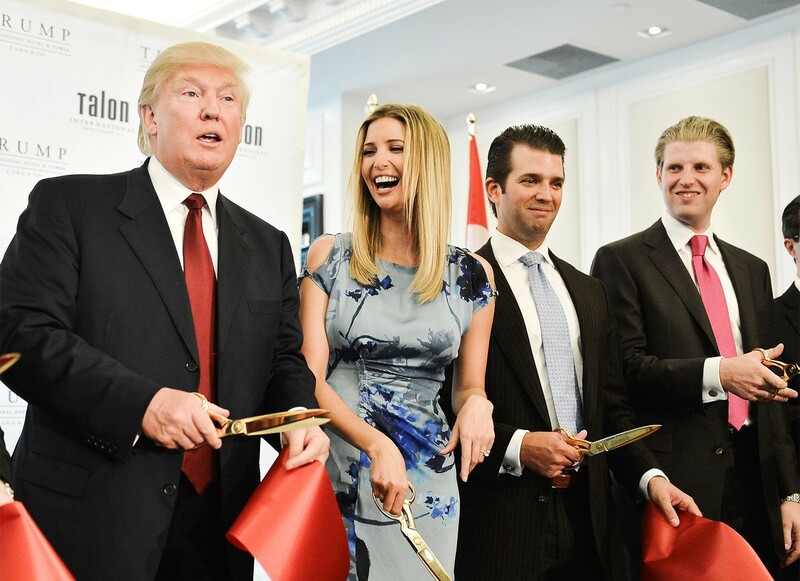 The Trump Organization is a collection of over 500 “pass-through” entities. Pass-through entities do not pay the corporate income tax. Instead, profits and losses are passed through to the individuals who own the business, and they pay any tax due on their personal returns at individual rates. JCT also found that even though only 5% of filers who claim this deduction on their returns have income over the $315,000 threshold for joint filers (and $157,500 for single filers), most of the benefit of this tax break is going to these wealthier Americans. Allegedly, this deduction was supposed to phase out above the $315,000 income level. But the law set this tax break with so many loopholes that the wealthy are the big winners — as those of us who opposed it predicted.